Now that your bankruptcy case is on file, you will have to attend the First Meeting of Creditors. The Meeting is typically a fairly straightforward ordeal. We will support you with answering the Trustee’s questions regarding the bankruptcy documents that we have reviewed with you prior to filing In order to reduce your stress about going to court, we want to let you know what to expect by providing you with the most common questions and answers. Certification Regarding Domestic Support Obligations. Your attorney will provide you with a certification regarding court-ordered domestic support obligations (child support and/or alimony). If you have a domestic support obligation, then you have to state that you are current on your post-filing domestic. If you don’t have a domestic support obligation, you simply state as much. The reason why this is necessary is that you have to be current on post-filing domestic support obligations in order to have your plan confirmed. Tax Returns. In order to have your plan confirmed, you must have filed all required tax returns. If you have not done so, you will need to prepare and file your tax returns as soon as possible after filing. Your creditors, the Chapter 13 Trustee, and other parties in interest have an opportunity to review and object to your plan. The Chapter 13 Trustee almost always finds a reason to object to the plan. You have an opportunity to provide a response to any objection. 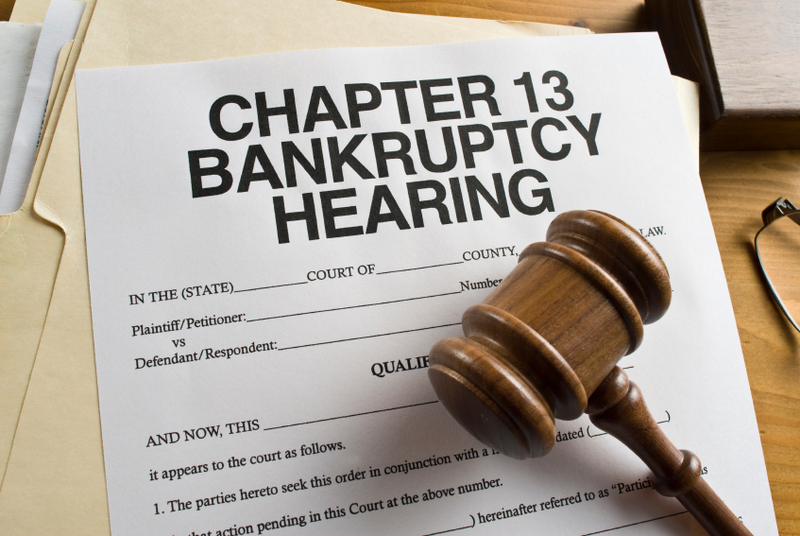 Your attorney will prepare and provide this to you and file it with the bankruptcy court. The ultimate goal is to have your Chapter 13 bankruptcy plan confirmed. Sometimes your attorney will have to prepare and file an amended plan to address the issues presented in any objection. Once the court confirms your plan, it will remain in place for the next 3-5 years unless it is modified. More on that next. Limited Motion to Modify. After the plan is confirmed, you may file a Limited Motion to Modify to temporarily stop or reduce the plan payment for a period typically not longer than 3-4 months. If you have a temporary hardship arise, such as a loss of job or increase in medical bills, please reach out to your attorney to explore this option. Change in Household Income/Expenses. If your household income permanently decreases/expenses permanently increase during the course of your Chapter 13 bankruptcy, you may be able to file an amended plan to permanently reduce your plan payment. If your household income permanently increases/expenses permanently decrease during the course of your Chapter 13 bankruptcy, you may have to file an amended plan to permanently increase your plan payment. This is because you are required to commit your full disposable income during your 3-5 year plan. Most of your creditors have 70 days from the filing date to file claims. Once the deadline passes, the Trustee will provide you with a list of creditors, designating which creditors filed and providing the amounts and treatment of each claim. Unsecured Creditor’s Failure to File. If an unsecured creditor (i.e. credit card) fails to file a claim by the deadline, it will receive no payment in your plan and your legal obligation will be discharged at the end of the plan as to that creditor. In some situations, it becomes necessary to object to a claim to have the claim disallowed in part or in full. Your attorney and the Trustee review each and every claim filed to determine if an objection is necessary. Change in Employment. Your attorney will inform the Chapter 13 Trustee’s Office so that your new employer can be informed to set up the wage withholding for the plan payment. Change in Household Size. A change in your household size may impact your household income and/or expenses, which may require an adjustment to your plan payment either temporarily or permanently. Temporary Increase in Expenses/Decrease in Income. You need new tires for your car or you had a larger than normal medical bill arise. In these situations, you may have the option to temporarily stop or reduce your plan payment. Need a replacement vehicle. Before you finance a replacement vehicle, you will need to file a pleading, asking for the court’s permission to incur the new debt. The interplay between bankruptcy and divorce is complex. You will want to inform your bankruptcy attorney if you or your spouse have filed for divorce. You Did It! You will want to take the opportunity to celebrate this accomplishment. Notice of Final Payment. Once you have made your final payment, the Chapter 13 Trustee will notify your employer to stop the wage withholding and will file a Notice of Final Payment with the bankruptcy court. Another Certification Regarding Domestic Support Obligations. Your attorney will provide you with a certification regarding court-ordered domestic support obligations (child support and/or alimony). If you have a domestic support obligation, then you have to state that you are current on your post-filing domestic. If you don’t have a domestic support obligation, you simply state as much. The reason why this is necessary is that you have to be current on post-filing domestic support obligations in order to have your discharge entered. To explore your bankruptcy and non-bankruptcy solutions, contact Koenig|Dunne to schedule a free consultation with one of our experienced bankruptcy attorneys.